Seasonal skincare that won’t give you the chills! If you’re anything like us, this time of year involves the same daily routine: stay under the blankets for as long as possible because it’s nice and warm in there, stick out your toe to check the radiators have switched on, and then do a record breaking dash to the shower to make the most of all that wonderful, comforting hot water. There’s only one problem with this plan. Your skin must stay moisturised to protect it from the cold, which means you need to retain as much oil in your skin as possible. To do that, you should wash your face and hands in lukewarm water. We know that’s easier said than done when you’re standing underneath that fabulous hot shower but if you wash your face and hands in lukewarm water at other times of the day your skin will thank you for it. Once again, it’s all about keeping your skin as hydrated as possible. When you moisturise directly after washing, you’re helping your skin retain water. 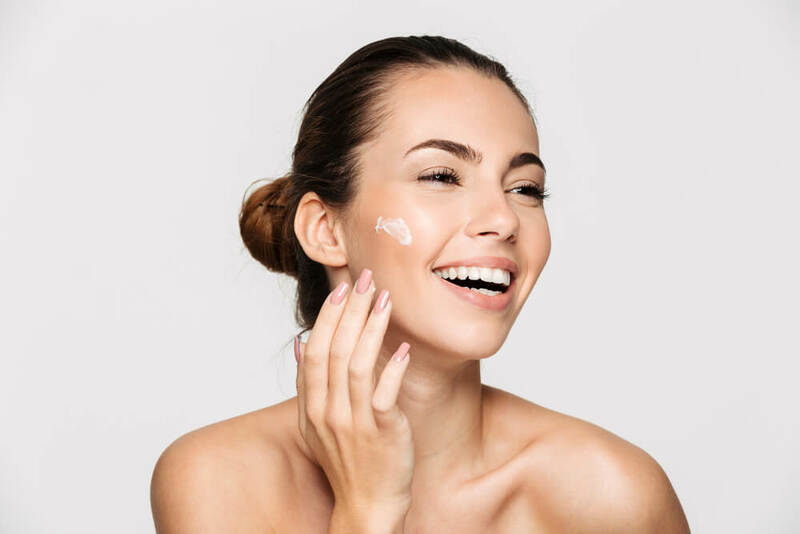 The problem with some moisturisers is that they contain petroleum-based ingredients which won’t give your skin all the nourishment it needs. A natural, oil-based moisturiser is your best option because it will work to seal in your skin’s moisture and prevent dryness and itching. Too many dead skin cells can prevent moisture from reaching your skin, which can cause big problems during the colder months. To counteract that, you should exfoliate once a week over autumn and winter using a scrub that won’t irritate your skin. Many dermatologists suggest exfoliating with a sugar scrub and warm water, which will open the pores and prepare the skin for moisturiser. Scrubs containing apricot pits and ground nuts can promote redness and acne, and salt scrubs can be too harsh. Don’t exfoliate more than once a week, though. It can be too much of a good thing and make your skin dry and irritated. Hydration comes in all shapes and sizes, and it’s not only your skin that needs attention. Make sure you eat plenty of foods that are high in water content (fruits like oranges, apples and kiwi and vegetables like tomatoes, celery and cucumber) and don’t forget to keep drinking water. Yes, we know that last one sounds like a no-brainer but as the weather gets colder we tend to ignore water and go straight for hot drinks like coffee, tea, hot chocolate and cocoa. Instead of those, try drinking a little warm water with lemon. Taken regularly it helps strengthen the immune system, aid digestion, and flush out toxins – plus it’s an excellent source of vitamin C.
And while we’re talking about vitamins, make sure you’re getting enough zinc and omega-3 in your diet. You’ll find omega-3 in fatty fish and flaxseed (many nutritionists think the fishy omega-3 is best) or you could take it as a supplement. The temperatures might have dropped but the autumn and winter sun can still do some damage, even if you can’t see it. For that simple reason, you should always apply sunscreen when you’re outdoors and wear gloves and scarves to protect any exposed skin from the cold. Try a hydrating sunscreen with an SPF of 30 or higher or, alternatively, an SPF daily moisturiser. And, finally – don’t forget to go balmy! Your lips are delicate and, because they have no sebaceous glands, they don’t produce their own moisturising oils. That leaves them susceptible to painful cold weather damage like chapping and cracking. The skin on your lips has no natural melanin either, so using a lip balm that will protect your pout from the cold but also contains sunscreen is especially beneficial. And, if your lips do get chapped, lip balm will seal the cracks in your skin and aid healing. That’s definitely something to smile about!